얼마 전 학회에서 발표한 글을 옮겨 놓는다. 제법 긴 글을 짧게 줄인 것이라 중간중간 '틈'이 많지만, 다음에 전문을 나눌 기회가 있기를 바라며, 일단 짧은 글이 나마 게시한다. Today’s highly developed technology enables numerous people to be “authors” of autobiographical writings on the internet. Generally speaking, in autobiographies or autobiographical writings, people express their own concepts of self and create their narrative identities. [각주:1] However, the overflow of autobiographical writings in the online also creates the potential for people to nurture illusory selves in cyberspace. [각주:2] Therefore, I would like to explore the development of Thomas Merton’s spiritual identity[각주:3] in relation to the spiritual experiences narrated in his autobiography, The Seven Storey Mountain (1948), as a good example of integrating one’s spiritual experience with one’s self-identity for contemporary “online autobiographers.” Merton narrates his spiritual journey as a process of finding his spiritual identity, which is developed and transformed by his experiences of reality and through his interactions with people, nature, and places. “Prisoner’s Base,” the first chapter of The Seven Storey Mountain, begins with Merton’s reflection that he was born as “the prisoner of my own violence and my own selfishness.”[각주:4] Similarly, in The Seed of Contemplation (1949), he writes, “I am born in selfishness… And this is original sin… To say I was born in sin is to say I came into the world with a false self.”[각주:5] Merton thinks that he – who was created to love God – was intensely absorbed in loving himself or, more precisely, his false self. Thus, Merton was a prisoner of selfhood because he was chained to the false self. The sense of fetter made him eager to have liberty. Similarly, the monk Merton describes himself of 1937, when he felt ill after his grandparents passed away, as “a true child of the modern world.”[각주:9] He was now troubled with constant fear of losing his health. He writes, “The coin had turned over and I was looking at the other side: the eagle that was to eat out my insides for a year or so, cheap Prometheus that I had become!”[각주:10] He was cheap Prometheus because he was imprisoned for his lust rather than for the benefit of humankind. However, being the “cheap Prometheus” opened Merton’s ears to his interior voice. In August of 1938, Merton experienced the “sweet, strong, gentle, clean urge” in him which said, “Go to Mass! Go to Mass!”[각주:11] Also, when he read the conversion story of Gerald Manley Hopkins (1844-1889), he felt something in him, “a movement that spoke like a voice.” This voice pushed him to confess to Father Ford, “I want to become a Catholic.”[각주:12] Common to both these experiences of perceiving his inner voice is his inner self intervening in crucial points in his conversion process. By the awakening of his inner self, the catechumen Merton was able to listen his inner voice and identify himself as a “happy condemned prisoner” who should be executed through baptism and is about to enjoy true liberty. After seventeen months from his baptism, Merton set out on a trip to Cuba. When Merton saw ceiba trees on the way to Cobre, he half hoped to see a supernatural appearance of the Blessed Mother in the trees. He, however, through an unexpected spiritual experience at an ordinary Mass in the Church of St. Francis at Havana, came to realize that such expectations were useless. When he heard the voices of the children crying out “I believe” during the recitation of the Apostle’s Creed, he was suddenly struck by an awareness of the presence of God. [각주:13] His eyes were opened to see the invisible presence of God with unshakable certainty. In Merton’s thoughts, the experience of God’s presence and the union with the divine are crucial for finding one’s own identity. He writes, “I was living like a prince in the island, like a spiritual millionaire.”[각주:14] Merton was a spiritual millionaire in Cuba, not only because of the many accessible Catholic churches but also because of the spiritual vitality that he was given through his encounter with God’s being. In the final process of Merton’s becoming a Trappist monk, there were two cases in which his self-knowledge or the question “Who am I?” played a crucial role. First, in the summer of 1940, while reading the Book of Job, Merton was overwhelmed by the remembrance of his past sins. He writes, “I suddenly remembered who I was, who I had been.”[각주:15] As a result of that, his hope to be a Franciscan monk was aborted. Second, on November 24, 1941 when he was teaching English literature at St. Bonaventure University, Merton was troubled with “a deep wound running inside” him. 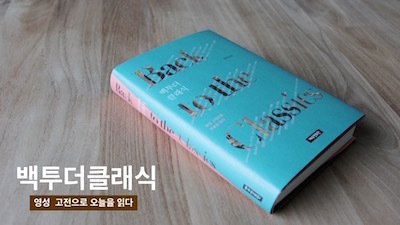 He writes in his journal, “The wound is only another aspect of the fact that we are exiles on this earth.”[각주:16] It seems that this inner wound was caused by the discordance of his fundamental identity with his place of those days. Merton was an exile because he lived in a “foreign place” not in home, a monastery where he was eager to be in order to live out his spiritual identity. Three days later, Merton again faced the question “Who am I?”[각주:17] and chose to go to the Trappist monastery instead of Harlem. In this way, Merton found “his place” by reflecting on his identity. For Thomas Merton, writing his autobiography was a way to find answers to the fundamental question of “who am I?” and a spiritual practice that helped him in integrating his self-identities with his life experiences. Further, the formation of Thomas Merton’s spiritual identity as contained in The Seven Storey Mountain gives modern autobiographers some helpful advices. First, do not merely list events, places, and people but instead narrate your inner self’s spiritual journey. Create your narrative self by consistently reflecting on your inner movement and even on your past self’s consideration of yourself. Second, open your eyes and pay attention to your ordinary life experience. Your inner self may awaken when you are appreciating art, reading a book, attending an ordinary Mass, or keeping a journal. Third, consider the places where you lived, currently live, and want to live. Your identity is fundamentally linked to your place. Finally, never stop exploring yourself. Even after writing his autobiography, Merton’s self-identity changed radically. Keep the question “Who am I” and narrate yourself until you disappear on this earth.